– The Tozan Tales; A beautiful little blog about hiking up mountains in Japan. – Dzjow’s Adventure Log; A brilliant outdoors blog, with some extraordinary photos. – One Foot Out the Door; A really diverse travel blog, covering some fascinating corners of the world in a very accessible way. – Berit Ellingsen, Fiction Writer; An up-and-coming writer from Norway, with some wonderful material. – Grid North; Don’t let the fact this man is my flatmate convince you I am biased in including him- he does occasionally write some interesting stuff! A very nice outdoor blog. – Hanne T. Fisker Photography; Stunning photos with little snippets of thought. A strong Scandinavian tilt to the content, which I like very much. – Travel Cathay; A really good blog on travelling in China, with excellent in-depth reports on off-the-beaten track locations. – Dee Dee Chainey, Writer & Illustrator; Full of folklore, though with more of a fairytale twist than my stuff. Very creative indeed. 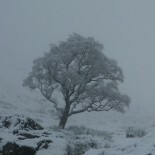 – David Lintern; Another excellent outdoors blog, from a man based here in Scotland. Top-notch photography, and an intriguingly diverse approach to writing. Wow – thanks for the mention! Checking out some of your other favorites right now while I kill a 7-hour flight delay … not that I wouldn’t have checked them out otherwise! Glad to hear the book is coming along; let us know when it is available for sale! William, in all honesty, I am moved by your words here. A sincere thank you from me. And you have a book on its way? What book? I’m looking forward to hear more of that when you find the time. Even more remarkable then that you’ve still found the time to visit our small places of expression and creativity whilst finishing a book. Again. Thank you! Hanne, the creativity on your site is anything but small! It’s my pleasure to do a tiny bit to promote it. This entry was posted on February 16, 2015 by williamayoung in Uncategorized and tagged Adventure, Folklore, Hiking, Literature.